Below you fill find all funeral homes and cemeteries in or near Sumner. Their current mayor is Mayor David Meighan. Zip codes in the city: 50674. Some of the notable people born here have been: Randi Oakes (actor and model). Sumner is a city in Bremer County, Iowa, United States. The city is located along the county's eastern border, between Bremer and Fayette counties. The population was 2,028 at the 2010 census. 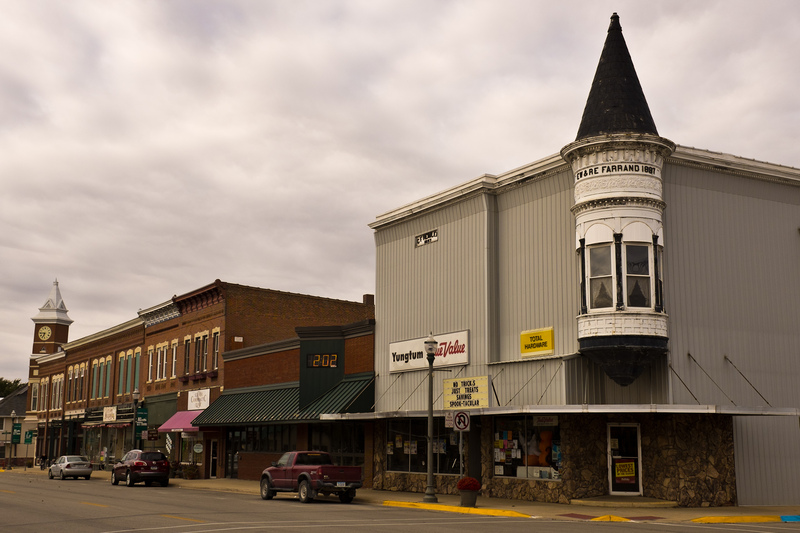 The Bremer County portion of Sumner is part of the Waterloo–Cedar Falls Metropolitan Statistical Area.The town was established in 1870, and incorporated in 1894. The community is named after American political leader Charles Sumner.Sumner is home to Life Line Emergency Vehicles, a major manufacturer of ambulances. It was noted by Waterloo/Cedar Falls Courier on January 27th, 2019 that John Francis McFadden passed away in Sumner, Iowa. McFadden was 88 years old. Send flowers to express your sympathy and honor John Francis's life. It was revealed on December 30th, 2018 that Phyllis Mae Main (Niemeyer) passed on in Tucson, Arizona. Ms. Main was 83 years old and was born in Sumner, IA. Send flowers to express your sorrow and honor Phyllis Mae's life. It was revealed by Waterloo/Cedar Falls Courier on December 24th, 2018 that Donald M Leyh passed on in Sumner, Iowa. Leyh was 86 years old. Send flowers to express your sympathy and honor Donald M's life. It was revealed by Waterloo/Cedar Falls Courier on December 23rd, 2018 that Doris Marie Frost (Kane) passed away in Sumner, Iowa. Ms. Frost was 96 years old. Send flowers to express your sympathy and honor Doris Marie's life. It was reported by Waterloo/Cedar Falls Courier on December 23rd, 2018 that Janice Vorthmann perished in Sumner, Iowa. Vorthmann was 70 years old. Send flowers to express your sympathy and honor Janice's life. It was revealed by Waterloo/Cedar Falls Courier on November 9th, 2018 that Jerry L Gitch passed away in Sumner, Iowa. Gitch was 80 years old. Send flowers to express your sorrow and honor Jerry L's life. It was disclosed by Waterloo/Cedar Falls Courier on November 5th, 2018 that Donald Charles Tisue passed away in Sumner, Iowa. Tisue was 74 years old. Send flowers to share your condolences and honor Donald Charles's life. It was written by Waterloo/Cedar Falls Courier on November 4th, 2018 that Don Tisue perished in Sumner, Iowa. Tisue was 74 years old. Send flowers to express your sympathy and honor Don's life. It was written by Waterloo/Cedar Falls Courier on November 1st, 2018 that Rosemary Hanson died in Sumner, Iowa. Hanson was 93 years old. Send flowers to express your sorrow and honor Rosemary's life. It was written by Waterloo/Cedar Falls Courier on October 14th, 2018 that Lori Weisert (Wolff) passed on in Sumner, Iowa. Ms. Weisert was 59 years old. Send flowers to share your condolences and honor Lori's life. The city is located along the county's eastern border, between Bremer and Fayette County, Iowa counties. The population was 2,106 at the 2000 census. The community is named after American political leader Charles Sumner. Sumner is a city in Bremer County, Iowa County, Iowa, United States. The Bremer County portion of Sumner is part of the Waterloo, Iowa Falls, Iowa Falls Waterloo-Cedar Falls metropolitan area Statistical Area. The official website for the city of Sumner is http://www.mysumneriowa.com/home.html. John Charles Erickson was born December 27, 1946, in Sumner, IA, to Edwin and Charlotte (Schrader ... Visitation one half hour before service time. Leonard Funeral Home, Elkader, Iowa, is in charge of arrangements. Burnham-Wood & S. K. Rogers Funeral Homes, LLC provides complete funeral services to the local community. Sumner, Iowa - the city with a future. The secret's out... come visit us! We work with local florists and flower shops to offer same day delivery. You will find budget sympathy flowers in Sumner here. Our funeral flowers are cheap in price but not in value.